White Walker Spiral: What are the theories on Game of Thrones? 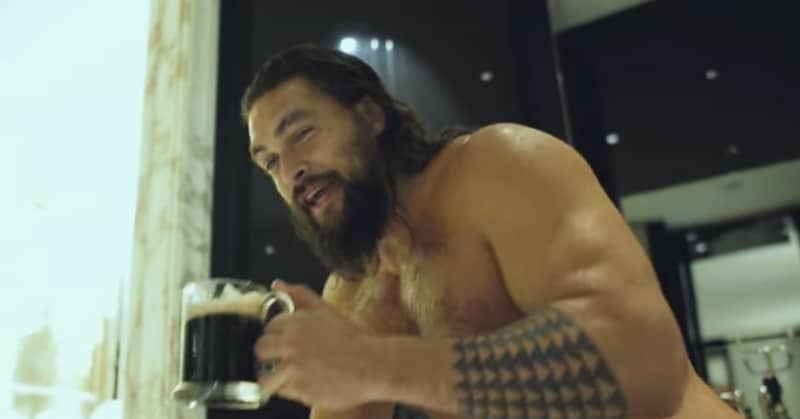 Last night’s episode of Game of Thrones contained a scene that already has the internet raising numerous theories. All it took was a flaming symbol to be revealed for a matter of moments. The scene specifically being referred to is toward the back half of the episode where Tormund, Beric, and other men stumbled across the young boy Ned Umber pinned to a wall with severed limbs spiraling around him in perfect formation. To make things even more unsettling, the little boy came back screaming as a White Walker trying to kill the men but remaining pinned to the wall. Using his flaming sword, Beric lit the living-dead child on fire and the spiral of limbs also caught fire–illuminating the haunting symbol. But what did this strange spiral symbol from the White Walkers mean? Here are some various theories making their way around the web. What did the White Walker Spiral mean on Game of Thrones? One theory currently circling around is that the Night King himself is throwing hints that he is also a Targaryen. 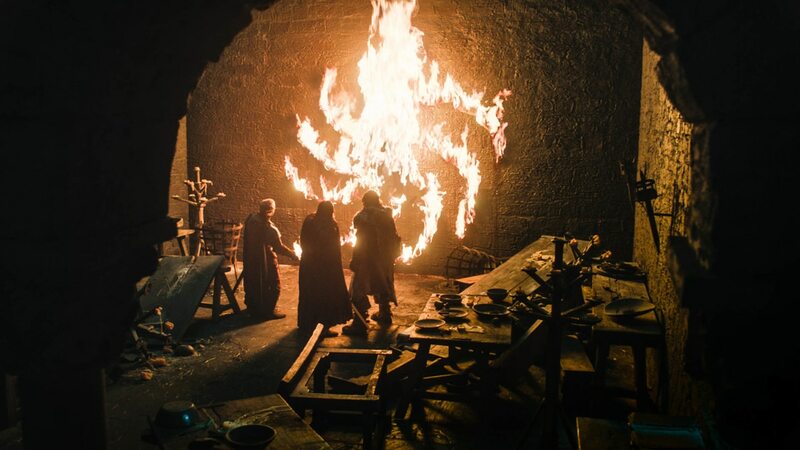 The evidence being that the spiral is remarkably similar to that of the Targaryen sigil which has a three-headed dragon in the shape of a circular spiral. Here is an example taken from Twitter showing a side-by-side comparison. If this is true, it raises a lot of questions. Does this mean the Night King wants to join Daenerys’s army? Is he actually a good guy? Probably not but this theory seems extremely probable considering the similarities. It could also represent the Night King burning the Targaryen army to ashes. Keep in mind though, theories do exist involving the Night King having the same bloodline as Jon Snow and Daenerys. As other sites have pointed out, the symbol was first seen during a flashback with Bran as he sees the creation of the Night King. In the sequence, the Three-Eyed Raven shows him a vision of the past when the Night King was tied to a tree and stabbed in the chest by the Children of the Forest. As the blade enters his chest, his eyes become blue, making him the first of his kind. During the magical ritual, a sky view shows the same pattern as the one surrounding by Ned Umber. This could suggest that the pattern is just a calling card and a reminder to everyone of what was done to him. Whatever it means, the symbol has been used many times before by these creatures and seems to have major significance. 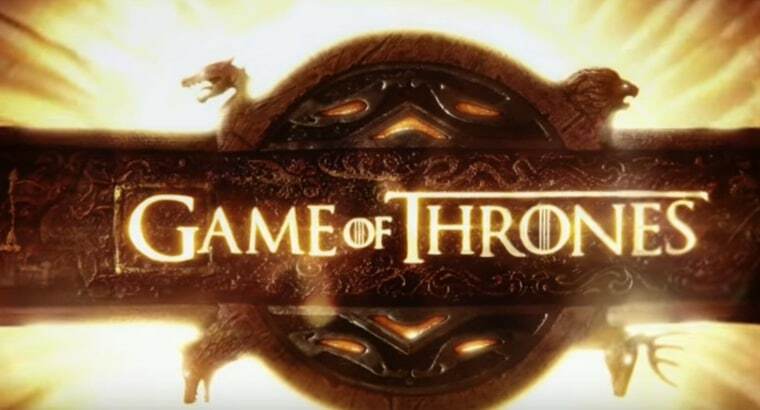 Given the number of times it has appeared without an explanation, one has to consider that this symbol has some importance behind the mystery of the Night King and may unlock who he was before the transformation. Just look at how many times the symbol has appeared since the show first aired. For now, all one can do is speculate but it seems like a message is definitely being sent by the Night King. Whether that message is good or bad, only time will tell. Until then, we’ll have to see as a huge battle looms in the weeks ahead. Game of Thrones airs Sunday nights on HBO at 9/8 CST.